A guide to trading the Chinese Renminbi. Where Can I Spread Bet on Renminbi? How to Spread Bet on Renminbi? The live CFDs chart below gives you a helpful look at the USD/CNH market (and the often strange patterns you get with this market). The above chart, provided by Plus 500, normally uses the USD/CNH futures market. If you want to look at spread trading charts and prices for USD/CNH, you may need a financial spread betting account. In addition, a spreads account also lets you trade on shorter-term spot prices. Users should note that opening such an account is subject to credit and status checks. If you decide to trade then you should note that contracts for difference and financial spread trading carry a significant level of risk and can result in you losing more than your initial investment. USD/CNH is currently trading at ¥6.3209. In the last session, the market closed ¥0.0339 (0.54%) higher at ¥6.3369. 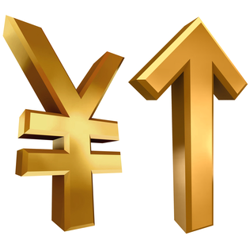 The forex pair is below the 20 period MA of ¥6.3282 and below the 50 period MA of ¥6.3312. The currency pair is below the 20 DMA of ¥6.3244 and above the 50 DMA of ¥6.3192. USD/CNH is currently trading at ¥6.6185. At the end of the last session, the market closed -¥0.0032 (-0.05%) lower at ¥6.6456. The forex market is currently lower than the 20 period MA of ¥6.6239 and lower than the 50 period MA of ¥6.6395. The forex pair is lower than the 20 DMA of ¥6.6195 and higher than the 50 DMA of ¥6.6089. » For more see Forex Trading News & Analysis. Readers should note that you might also be able to spread bet on USD/CNH with other online providers. Where Can I Trade Chinese Renminbi CFDs? In 2012, GFT Markets started to let clients trade the Chinese renminbi against both the US dollar (USD/CNH) and the Japanese yen (CNH/JPY) on a spot basis. The renminbi (RMB) uses the sign ‘¥’ and currency code ‘CNY’ although you may also see CN¥, 元 and CN元. The primary unit of renminbi is the yuan (元). The CNY and RMB trade at different rates, despite being the same currency, as a way to keep the onshore and offshore markets separate; this has led to the code CNH being used to indicate currency traded offshore (mainly through Hong Kong). Another RMB market, the dollar settled non-deliverable forward (NDF), is traded independently of the two. Another RMB market is the trade-settlement exchange rate, or CNT. The renminbi is the official currency of China and is legal tender in mainland China, but not in Hong Kong, Taiwan, or Macau. You will probably be trading the CNH market. Renminbi futures are traded at the Chicago Mercantile Exchange. The futures are cash-settled at the exchange rate published by the People’s Bank of China (PBoC). In April 2012, the PBoC loosened its control of the yuan. The yuan can now fluctuate by up to 1% against the US dollar per day. 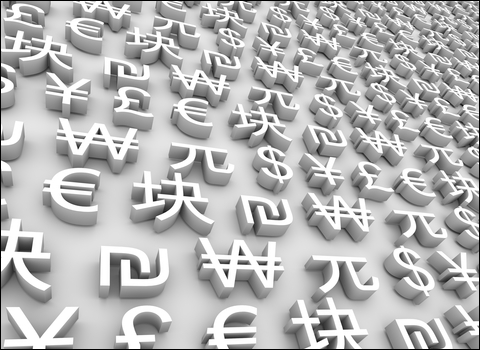 Prior to April the currency could only fluctuate by 0.5% against the dollar on a given day. In July 2012, the IMF said the renminbi was ‘moderately undervalued’ against a basket of currencies. Whilst an undervaluation might suggest the currency will appreciate, the IMF statement also makes it easier for Beijing to ignore criticism of its exchange rate regime. For more on this see the FT.com article, renminbi is moderately undervalued. The Chinese currency may be strongly influenced by central bank policy, but moves are bi-directional and the renminbi is being allowed to appreciate to a degree. 15 Oct 2013 – According to Alex Conroy of Spreadex, “Today, George Osborne today unveiled plans to create major trading links between the UK and China making London a major Hub for Chinese Renminbi. The Yuan in 2013 – The Chinese yuan gained 2.9% against the US dollar in 2013. 15 Jan 2014 – Analysts are expecting the yuan to break the 6.000 level in 2014. Trading forex, CFDs, and spread bets is risky and not suitable for everyone. These products are leveraged and you can lose more than your initial deposit. Don’t trade more than you can afford to lose. An HSBC research report on trading the renminbi points out the difficulty and confusion with trading the Chinese currency, it does not help that there is ‘One country, two systems, three currencies (and four curves)‘. CNH is the offshore RMB market. The RMB became officially deliverable in Hong Kong on 19 July 2010. Other than Hong Kong, RMB can be accumulated in other jurisdictions as a result of the expansion of the RMB trade settlement pilot scheme beyond Hong Kong and Macau. Hong Kong is the only jurisdiction to date where RMB trading is officially regulated / sanctioned. Combined with the fact that Hong Kong has been the traditional centre of offshore RMB deposits and liquidity, Hong Kong and the CNH market has become the de facto centre for offshore RMB. As with a variety of financial markets, an investor can spread bet on foreign exchange rates, like USD/CNH, to go up or down. Whilst spread trading on USD/CNH you trade in £x per point where a point is ¥0.0001 of the pairs movement. Therefore, if you risked £4 per point and USD/CNH moves 27 points then that would make a difference to your profits (or losses) of £108. £4 per point x ¥0.0027 = £4 per point x 27 points = £108. One important thing to note is that this is a ‘Rolling Daily Market’ and therefore it does not have a set settlement date. If your trade is still open at the end of the trading day, it just rolls over into the next day. If you allow your forex bet to roll over then you will normally be charged a small financing fee. For a more detailed example see Rolling Daily Spread Betting. Then you might choose to buy a spread bet at ¥6.0331 and invest, for example, £2 per point. With such a spread bet you win £2 for every point (¥0.0001) that the USD/CNH rate moves above ¥6.0331. On the other hand, such a bet also means you will lose £2 for every point that the USD/CNH market falls lower than ¥6.0331. Looked at another way, if you ‘Buy’ a spread bet then your profits (or losses) are calculated by taking the difference between the final price of the market and the price you bought the spread at. You then multiply that price difference by your stake. Therefore, if after a few sessions the FX rate started to rise you might decide to close your spread bet so that you can guarantee your profit. Speculating on forex, by spread trading or otherwise, can work against you. With the above, you wanted the forex rate to increase. Of course, the currency rate can also fall. If the USD/CNH market weakened, against your expectations, then you could choose to close your trade to stop any further losses. Note – USD/CNH spread accurate as of 03-Feb-14.